The Pellaqua tank program developed by ÖkoFEN is the optimally coordinated interface between your pellet boiler and solar collectors. The three tank models of the Pellaqua tank program have different construction possibilities and offer the optimal solution for your heating system. The system tank Pellaqua is absolutely versatile and is the effective complete solution for your boiler room. All of the components needed for heating circuit distribution are installed under the Pellaqua’s insulation hood, avoiding costly wall installations and complicated cable and pipe routing. This self-contained solution, including all of the controls and control wiring ensures the boiler room remains clean, tidy and uncluttered. Why use an accumulator tank? The accumulator tank is the storage heart of your heating system. It balances out differences between energy generation and energy consumption, which has the duel benefits of controlling costs and reducing wear and tear on your boiler. The number of burner starts is kept to a minimum by storing the energy you have already generated, leading to less pellet consumption, lower stresses on the boiler and less impact on the environment. The Pellaqua system tank is far superior to conventional accumulator tanks. 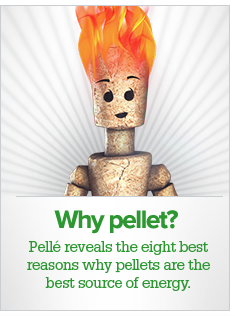 It accomplishes an number of functions as the interface between your solar system and pellet boiler. All of the pumps for the heating distribution circuit are contained within the Pellaqua, as are all of the heat exchangers for solar energy input and domestic hot water from your boiler. The Pellaqua buffer tank is the solution for an efficient heat storage. The heat storage balance the differences between heat production and heat demand and provide the energy for different applications. Optionally the buffer tank comes with 1 or 2 solar elements, making it the perfect choice for the combination of pellet, solar and DHW heating.